Some men use shorts as underwear, others use them as nightwear. Whatever is its utilisation, we offer you a category of shorts for all materials and in different forms. Each season we offer a collection of ARTHUR CLUB short with the famous slip. You can also opt for American shorts of the brand MARINER or shorts of the brand EMINENCE. Shorts There are 44 products. 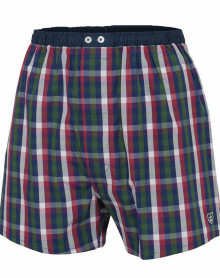 This Eminence boxer shorts is in 100% cotton for more softness and comfort to wear. (100% cotton). This Punto Blanco underplant is 100% cotton. It offers an internal Jockstrap for more holding and more comfort. (100% cotton). Mariner underwear chain and "frame tiles"
These Eminence long underpants are a mixture of wool (50%) cotton (40%) and Polyamide (10%) to provide natural, intense heat. (50% wool, 40% cotton, 10% Polyamide). The inner part of This model is cotton for comfort. During the 1990s, the boxers short were less present in the men's drawers in favor of the boxer and the briefs. However this form of underwear for men returns to the fashion especially in young people, which they describe as comfortable and pleasant. The boxer short are a more or less loose underwear mostly made with cotton and often confused with the boxer. It is a practical underwear for daily life leaving a certain freedom of movement. Over the years, new eccentricities appeared, notably with printed colors, or cartoon or humorous cartoons. The Arthur brand will have understood it and offers leggings as sober as casual. They are at the origin of the floating shorts incorporating a light slip inside the boxer shorts. This system allows a slight maintenance of the intimate parts of the man while maintaining a great freedom of movements. These are the Arthur Club boxer shorts. 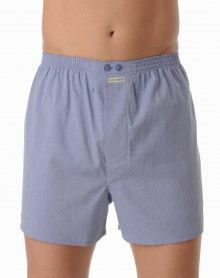 Finally, the boxer shorts are often used to sleep and take the place of the traditional pajamas.